iPad Mini: I Still Say FAKE! And I still say FAKE! I am not going to believe any of these leaks until I see something that convinces me these originate from Apple. I am so far not convinced. I think these are pipedreams from Chinese case manufacturers. Does everyone have memories so bad that they can’t recall just last year? And what did we wind up with? I will continue to stand here and say, NO! NO! NO! All of you are wrong! 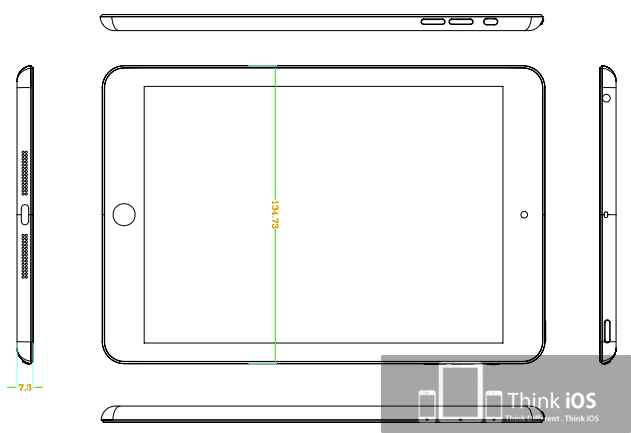 It will be the paper iPad Mini and nothing other than that.